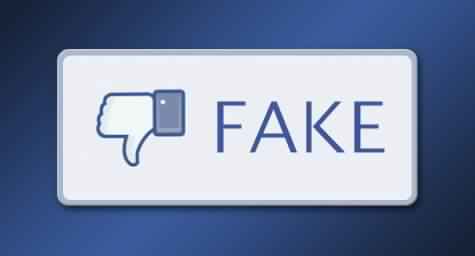 In order to curb the spread of fake news during the forthcoming general elections in Nigeria, Facebook has said only advertisers located in Nigeria would be allowed to run political advertisements on the social media site, says a news report published by Reuters. It has become an unwholesome practice, globally, to see groups with vested interests try to influence elections in different countries, through fake news targeting potential voters. There were reports last year of how a London-based data mining and analytic firm, SCL, which is the parent company of Cambridge Analytica, tried to rig the 2015 Nigerian presidential election in favour of the incumbent president, Goodluck Jonathan. The firm, said to have been hired to do the dirty job by an unnamed Nigerian oil billionaire who was afraid of Mr. Jonathan losing the election, planted fake news on social media sites to scare voters from voting for the opposition candidate, Muhammadu Buhari, who eventually won the election. Nigeria’s presidential election holds on February 16. Mr Buhari of the All Progressives Congress (APC) is running for re-election. His main challenger is the country’s former vice president Atiku Abubakar of the Peoples Democratic Party (PDP). Reuters quoted Katie Harbath, Facebook’s director of global politics and outreach, as saying that beginning on Wednesday in Nigeria, only advertisers located in the country will be able to run political adverts on the social media site. Ms Harbath said the decision mirrors a policy unveiled during an Irish referendum last May. The same policy will take effect in Ukraine in February, according to Reuters. Ukraine is holding its presidential election on March 31. “We’re learning from every country. We know we’re not going to be perfect, but our goal is continuing, ongoing improvement,” Ms Harbath said. Apart from control over advert sources, Facebook would be deploying other tools to curb election interference in Nigeria and other countries. It is, however, unclear to what extent these measures would help curb the influence of fake news on Nigerian voters. The spread of fake news has become a disturbing phenomenon globally.